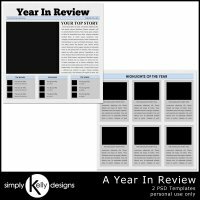 This Project 365 Template Set 5 by Simply Kelly Designs is a set of 2 templates that are designed to be used for Project 365. Each template comes in PSD and PNG formats. 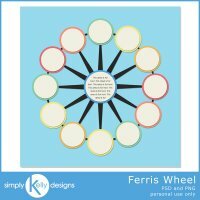 Each 12x12 layout has 7 photo blocks for one full week of photos and journaling. 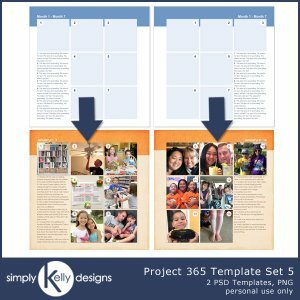 These templates are designed for a photo book with one template being the left side and one template being the right side.